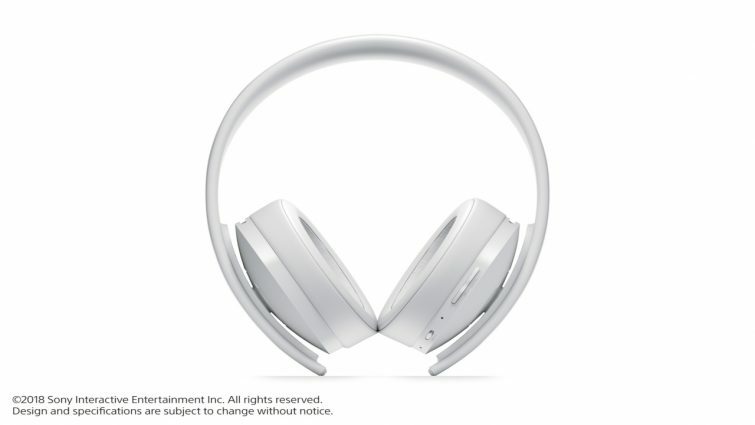 A white version of PlayStation’s Gold Wireless Headset has been welcomed into the PlayStation family. The new monochromatic design for the headset arrives on North American store shelves in October 2018. According to the PlayStation Blog’s announcement, more games will begin to feature audio modes, which Gold and Platinum headsets support through the headset companion app. These custom audio modes are tailored by developers to ensure players are thrust into a robust listening experience during play sessions. Furthermore, 3D Audio support is coming to additional titles. This “enhanced deep immersion audio function” only features in select games. Forthcoming releases that Gold Wireless Headset owners should look forward to experiencing this in are Days Gone from Sony’s Bend Studio and BioWare’s Anthem, both of which launch early next year on February 22, 2019. Pricing for the white version of the headset has yet to be detailed. However, it’s bound to follow the same pricing model as the redesigned Gold Wireless Headset that hit store shelves in early 2018. At release, the redesign cost $100 USD. Admittedly, the Gold Wireless Headset doesn’t have the best track record amongst fans. The 2014 release of the headset launched with a bevy of issues, many of which were due to hardware fragility. Thankfully, the 2018 edition is far sturdier and much more streamlined.